Now keeping your body type in mind you want to make sure you get the right cut so that it accentuates your shape whether you’re petite, curvy or have an athletic shape. If you’re not sure of how they should fit, don’t hesitate to ask for some assistance at the store and always try them on before you decide to buy them. 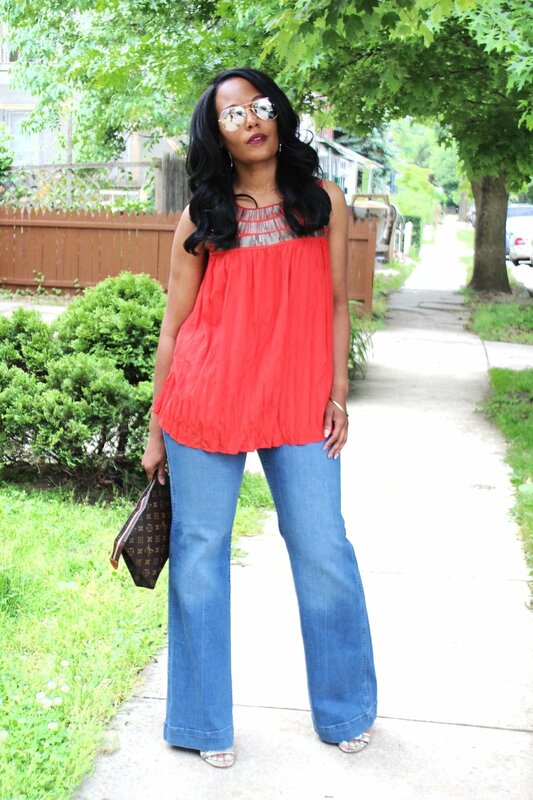 This is so important because the wrong cut of flared jeans can really make or break your look. You want to also keep in mind the length of the jeans and whether or not you will be wearing heels or flats. For me personally you can see that I wore heels and would never wear them with flats, but if flats are what you prefer then if needed you want to make sure you have a good tailor who can hem them for the perfect length so you’re not tripping over them because they’re too long. But, if you prefer not to have to worry about getting them altered, you can always opt for a pair of flared jeans that are above the ankle. I went with a bright loose fitting sleeveless top for a pop of color. If you prefer a more form fitting top I think it’s a great choice that will have you looking snatched and put the focus on your waist or you can wear a blouse that can be tucked into your jeans. You can keep this look simple like I did or go with a tee shirt or dress it up for a casual work day with the blouse option I suggested and layer with a cardigan or blazer to pull the look together. 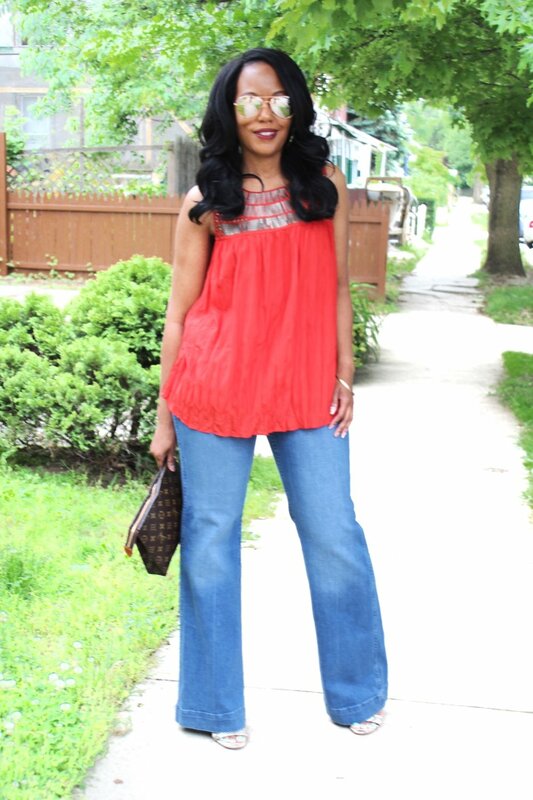 Let me know how you feel about flared jeans and how you would rock them?